The legal environment is one of constant change, but developments don’t always originate in litigation and societal trends. Attorney Lenny Rodriguez recently served on a board that discussed current legal trends, and one growing issue stood out to everyone in the room: the number of unemployed and inexperienced young lawyers. Rodriguez did not go to law school right out of college, so he was a more experienced law graduate than most. The trend now for aspiring lawyers to attend law school directly from college can make it harder for them to gain the experience they need to find employment after graduation. 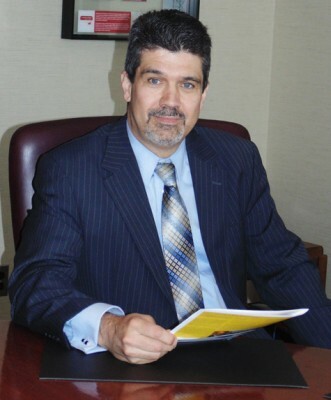 In his role as managing counsel for UIL Holdings Corporation, Rodriguez is part of a team of five attorneys and two paralegals. He specializes in corporate finance and Securities and Exchange Commission disclosure work while providing legal assistance in the regulatory, claims, and customer service areas. His department is expanding, and opportunities at the company are growing, even as the legal field faces challenges due to job scarcity. What concerns Rodriguez is that many students come out of law school and are forced to open their own practices because they can’t get an in-house or firm position. That issue carries secondary effects. The American Bar Association reported in 2008 that individuals in legal occupations were only 7 percent African-American, 2.8 percent Asian, and 6.6 percent Hispanic or Latino. “It’s unfortunate,” Rodriguez explains, “because diversity is as important for the legal field as it is for individual companies. Diversity and inclusion create a more productive and creative company because they generate different perspectives. When people from all walks of life come together and are respected, that is valuable.” Better products and services are achieved through varying experiences and opinions, he asserts. This ideal isn’t new, and Rodriguez notes that many employers, including his own, have developed initiatives to address it. That target goes beyond the need for better products and services, Rodriguez adds. The difficulty for young lawyers—minority or not—to find jobs has affected their communities as well. The Latino community suffers when there are not enough positive minority role models for youth to look up to. “Without role models, Latinos don’t have the ability to look at someone and say, ‘I can do what he does, and I don’t have to let my neighborhood, my last name, or what I look like stop me,’” he notes. There are several initiatives being discussed, both in the public and private sectors, to address these issues. Providing practical business training for first-year attorneys trying to open their own practices could help, Rodriguez says, though industry leaders are still debating how best to do this. Rodriguez recently served on a committee of judges and lawyers from all fields of practice to discuss this issue.